Not long ago, a friend, anticipating her own and her husband’s approaching retirement, expressed excitement about the possibilities ahead: travel, spending more time with family, cooking together, golfing together. She expressed nary a qualm, however, about 24/7 togetherness. Nor, apparently, had he. Round-the-clock togetherness, even in the most blissful marriage, can be as all-enveloping as a Surround Sound demo at Best Buy. If you’re blessed with a loving relationship—which, thankfully, we are—and your partner is also retired, or even partly retired, or about to be, you are probably enthusiastic about the opportunity to do more together. My guess, however, is that you probably haven’t thought much about the challenge of doing more together, and how that might affect you both on the home front. In other words, you can’t always be on a river cruise down the Rhine. While it is exciting and, hopefully, delightful for partners to be together without the strictures that a career imposes, there is also a distinct shift in the way you live your life from day to day when you are together virtually all of the time. If you haven’t already, you will eventually discover subtle differences, perhaps even some you hadn’t previously noticed. Remember that all those years, you spent far more waking hours at work than at home. 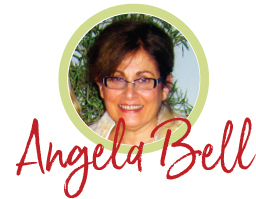 My husband and I had a head start on our transition because we work together. We’re very different—he is a goal-oriented, concrete/sequential strategist, and I’m a dreamy-eyed writer who, though highly perceptive, sometimes struggles with focus. When we first became colleagues, it wasn’t easy for either of us to adjust to the other’s on-the-job persona, learning style, or work habits; but eventually, with determination, we adapted quite well. We’re especially proud of the fact that many of our clients have admired how well we work—and think—together. But the constant togetherness that comes with even partial retirement has demanded a certain degree of adaptation from both of us. My husband is methodical and meticulous. We have the cleanest, tidiest basement in three counties. No errant leaf alights in the garage for long before he sweeps it out. At the risk of a “sexist” outcry, the garage and basement have traditionally been manly bastions. I use the basement to retrieve wine and frozen meat. I use the garage to drive my car in and out. The only thing I do in an orderly, precise way is follow a cake recipe, which, as any baker worth his/her salt knows, is chemistry that can’t be fooled with. My husband and I see ourselves as equal partners, without exception. My husband has always helped around the house, done much of the grocery shopping, taken on the bulk of the outside chores. He is much like my late father in that way. But now that there are fewer variations in our schedules, he likes us to do more household projects together, in his methodical, meticulous way. He will always get the job done post haste. I much prefer—and I freely admit this is a failing—to tackle household tasks alone, at a more leisurely, contemplative pace. When it comes to housework, I am highly susceptible to distraction. As a result, I can easily turn an hour-long task into an all-day endeavor. All of this is complicated by the fact that Hubby is a consummate night owl and I am entirely diurnal. Thus, joint projects are not always easy, even though many hands, at least theoretically, make light work. But just as we did with our differences in work styles, we are adjusting and adapting, and are both finding ourselves yielding ground more often than we used to. After all, we are not talking about life-altering stuff here. Nonetheless, when you are true partners in life, being #retired demands both a willingness to accept change in the way you do things and change in the way you relate to each other. Gone are the work hats you always wore and the career that shaped, and financed, your everyday life all those years. There are discoveries, and rediscoveries, to be made and savored. In the interest of not driving each other completely crazy, it is good, I think, to maintain some interests that are exclusively your own. While you already know that two televisions and a DVR are a necessity, especially on those dark days when the partner who is disinterested in sports begins to think that football/basketball/baseball season will never end. Lots of us have book/aka wine clubs and go to the movies or lunch with friends. We all know about the endless need for capable, giving volunteers, of course. But maybe it would be good to push yourself out of the box a bit and find some brand new opportunity to explore, something that will stretch you a bit. Learning a language, taking an online course, becoming a docent at the museum, or your 3,000 digital photographs into books and slide shows, are some possibilities that come to mind. All of which are good for your brain health. In other words, when you’re not cruising down the Rhine, you don’t need to be together, or do everything together, all of the time. Maintain your separateness as well as your togetherness. A bit of quality time apart will make you appreciate each other and enjoy your mutual retirement all the more. 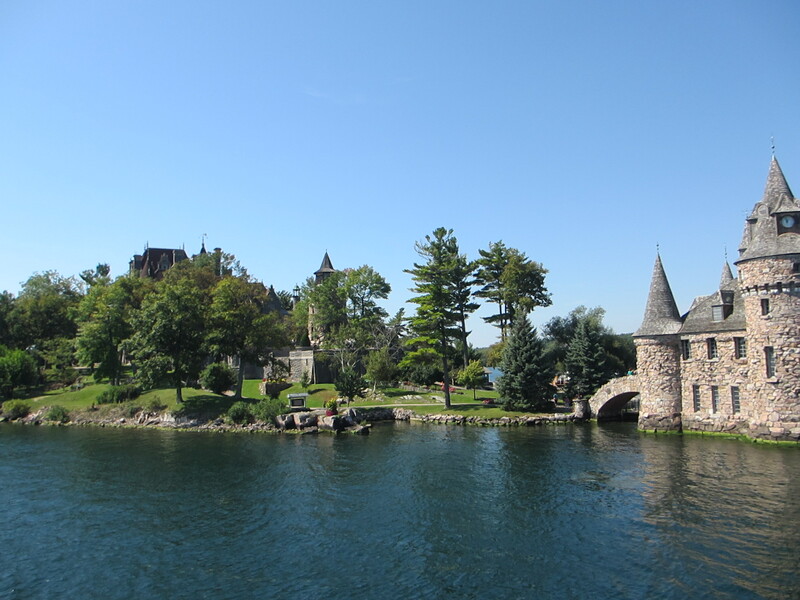 Photo: A cruise and castle not on the Rhine, but in the glorious Thousand Islands. About a bazillion years ago I knew a Marriage and Family Councilor who would tell young couples that the thing you love most about your partner now is the thing that eventually will drive you the craziest. I haven’t quite decided if I feel that way about John but I am pretty sure he thinks it of me. I’m working on trying to fix that.